If there's one recipe everyone should know how to make, it's guacamole. Whether you prefer it chunky or smooth, spicy or mild, it's such an easy dish to master that you'll never need to purchase pre-made guacamole again. Using this classic recipe, creamy avocados are mashed with lime juice, salt, chopped onion, jalapeño, cilantro and garlic for a zesty, addictive dip. Once you know the basic method, you can adjust the seasoning to your taste. Serve it as an appetizer with tortilla chips, alongside your favorite taco recipe, or on top of burrito bowls! Guacamole also happens to be good for you: avocados are loaded with fiber, healthy fats and more than 20 vitamins and minerals! And don't forget the other vegetables—onions are high in vitamin C, jalapeños are packed with vitamins A and B6, and cilantro has loads of fiber and vitamin K.
Per Serving: 119 calories; 10g fat; 7.3g carbohydrates; 2g protein; 0mg cholesterol; 182mg sodium. Great traditional guacamole recipe. Some people love tomatoes in their guacamole while a traditional mexican guacamole recipe has no tomatoes in it. 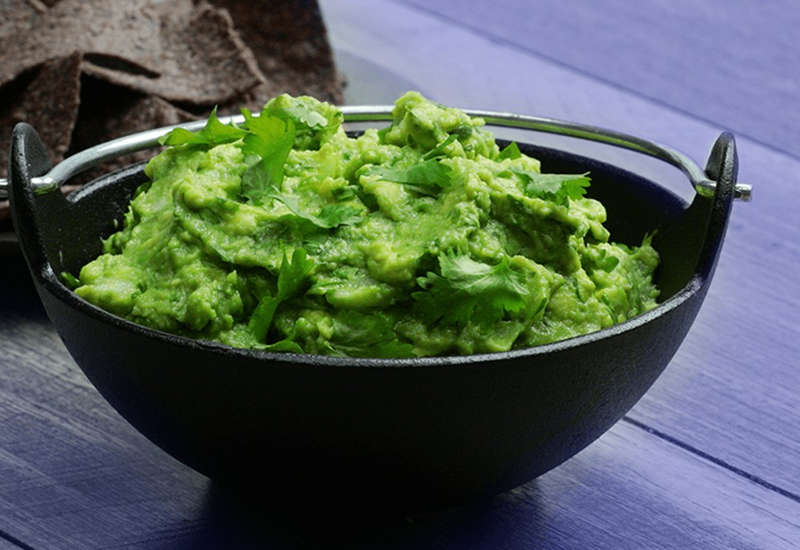 This is an easy and simple Guacamole. It could use a bit more lime and I don't seed my Jalapenos because they're spicy. It's easy and delicious. I just wish Guacamoles were less expensive! This is a great guac recipe that I've gotten right every time I've made it! Fresher than store bought and better than you'll find at a restaurant. This is perfect!! Served on top of the baby bell peppers stuffed with turkey. So simple, and so flavorful! I've found so many guacamole recipes, but something has always been a little off-- too bland, too salty, too thick. This is perfect and I'm using it for every meal for the rest of time!